The First ‘Fault in our Stars’ Poster Revealed! 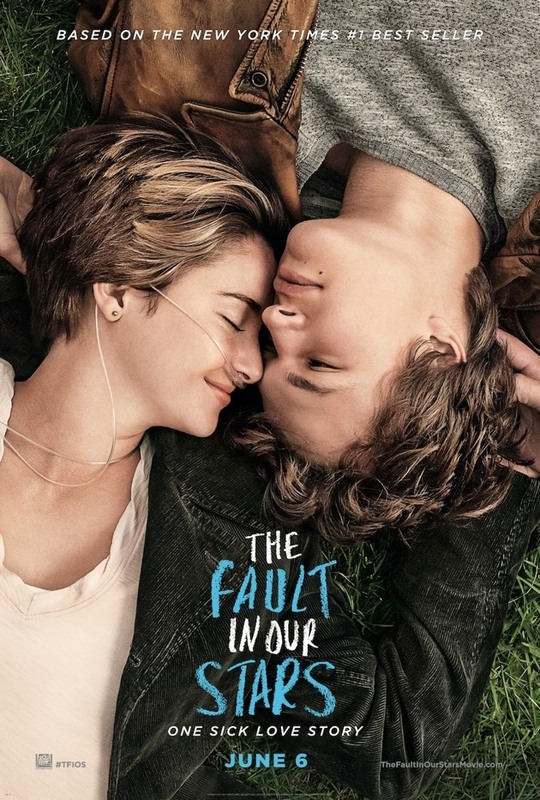 I’ve posted about TFIOS movie before, so I thought it would be appropriate to post the newly released first poster! I cannot wait to see this movie. What do you think of the poster? UPDATE: It seems that since the release of this poster, some people are thrown off, if not offended, by the tagline, “One sick love story.” I must admit, that when I first read it, it did strike me as odd, just because knowing what I know about what happens in the story, it made me feel a bit down, and it seemed almost a bit insensitive to the larger picture of cancer or other diseases people have to fight. However, I was not too worked up about it as others seem to be. Someone made a good point that the fact that it’s so blunt is aligned with how Hazel and Gus address their hardships in the first place. Thinking about it, that is a big point of the book, the fact that they’re almost making fun of what they have to go through. Looking at it from that angle, the tagline makes a lot more sense. What do you think of the tagline? Is it perfect, or should it be changed? This entry was posted in Movies and tagged ansel elgort, gus, hazel, john green, shailene woodley, the fault in our stars. Bookmark the permalink.